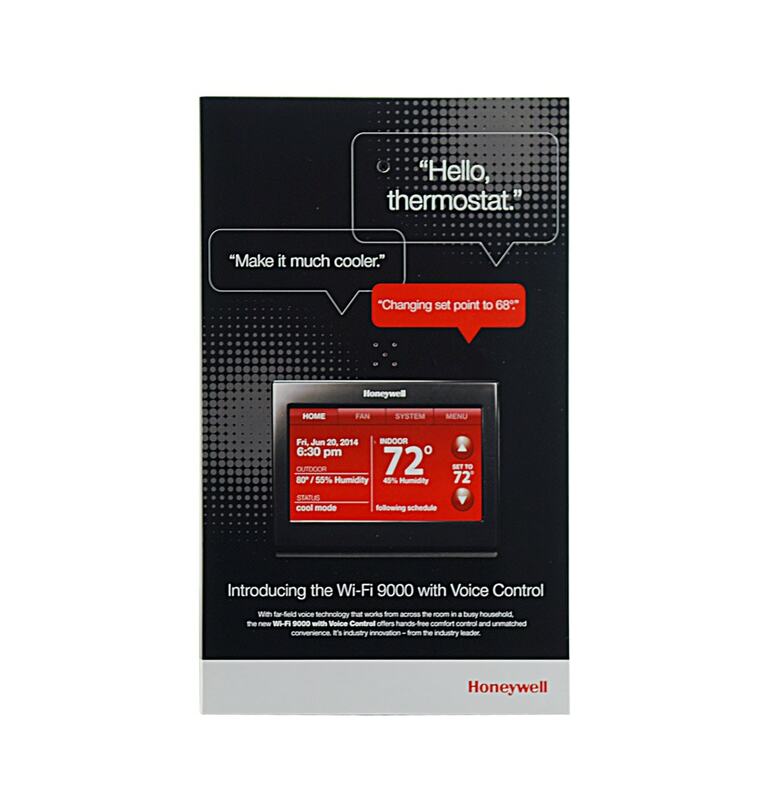 Honeywell is a Fortune 100 company that invents and manufactures technologies to address some of the world’s toughest challenges such as energy efficiency, safety, and security. One of their newest products was a Wi-Fi Smart Thermostat with Voice Control, “the first thermostat built to listen”. 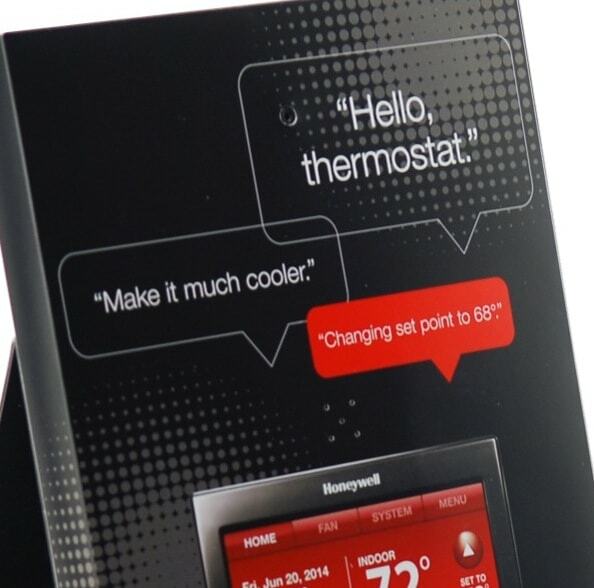 With such an innovative and first-of-its-kind product, Honeywell wanted to launch the new Smart Thermostat with an interactive campaign that not only promoted the new product, but also allowed potential consumers to experience the Voice Controlled Thermostat firsthand. 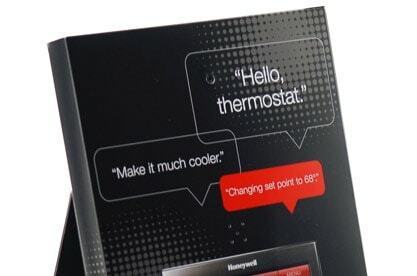 As with many other major tech companies, Honeywell and its ad agency collaborated with Americhip to develop a promotional campaign that was interactive and fully showcased the new features and benefits of their new Smart Thermostat. The campaign consisted of 2 launch pieces, an Audio Card and Counter Display with a Motion Sensor. It was simple: promote a new interactive product with interactive marketing. To help with exposure to in-store target audiences, an interactive counter display was developed to further increase the effectiveness of the campaign. The displays were strategically placed at selected retailers to engage and influence consumers in-store. The display had a motion sensor that triggered the Audio whenever a potential customer walked by. 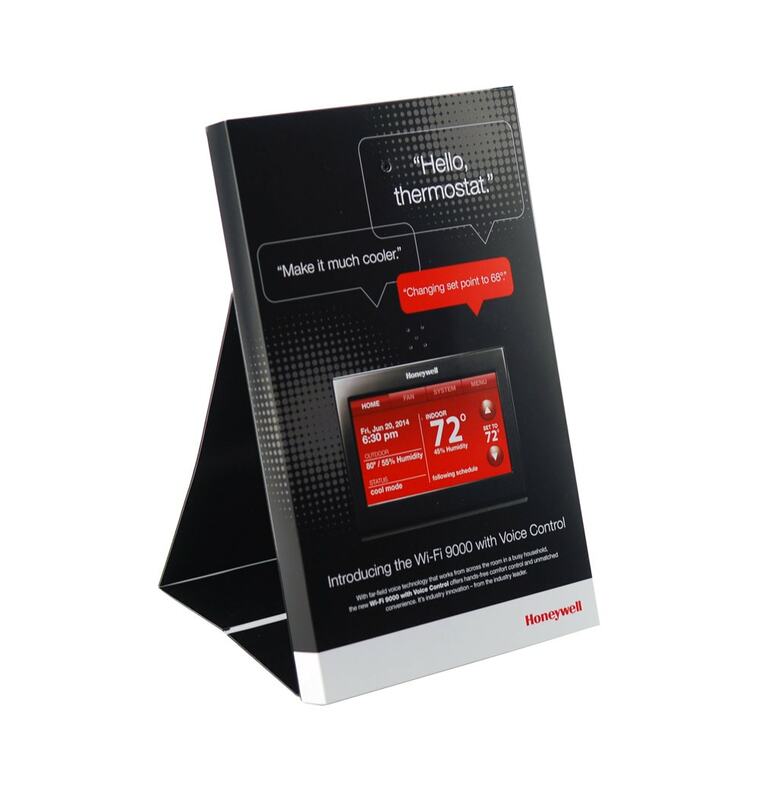 ￼￼￼By utilizing two form factors as well as multiple technologies from Americhip, Honeywell had an effective promotional campaign to launch their new Smart Thermostat. 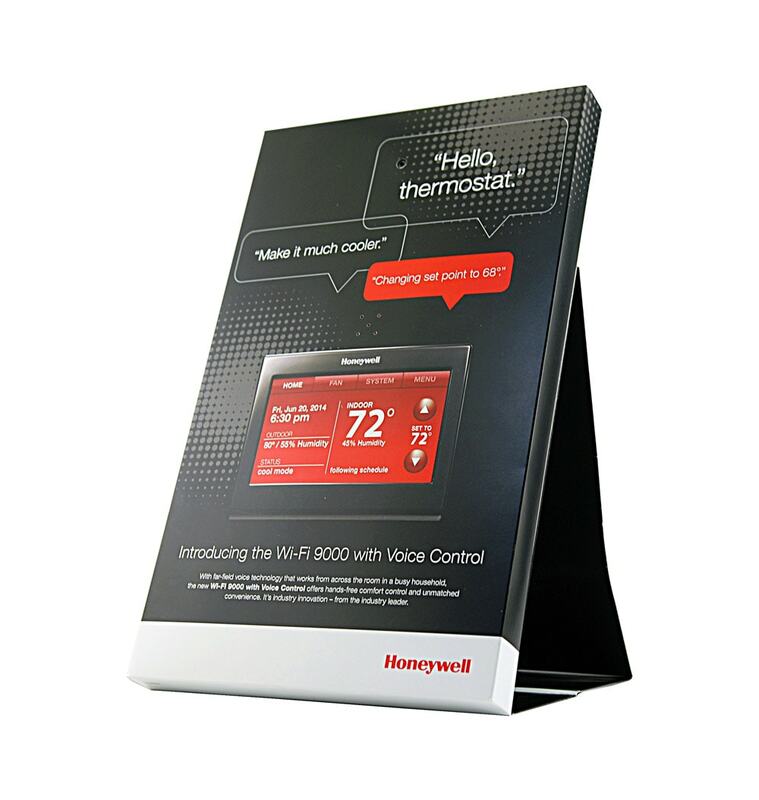 The initial run of the campaign was very successful which prompted Honeywell to re-order the in-store counter display for an additional line-up of selected retailers.